BEER DEGUSTATION | The company Český Regent s.r.o. Do you like beer and do you think you know everything about it? Or do you drink it only occasionally and you do not know too much about it? Or do you just want to experience an interesting original evening? Invite a few friends and enjoy tasting combined with a competition. During the brewery tour, you can taste one sample of our beer. 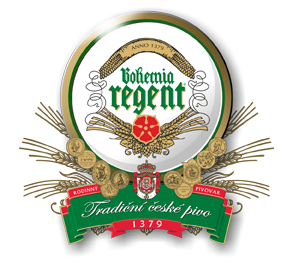 To compare this with other beers, we have prepared a special program for you, tasting Bohemia Regent beers, including a professional interpretation. You will also learn how beer was brewed in the past, how it is brewed today, and how to determine its quality. In addition you can win an interesting prize. After a tour of the brewery you will get six samples of beers, which you will taste blindly. Do not be afraid, you will not be blindfolded, blind tasting is an expression for anonymous tasting, when you do not know what beer you have in your glass. We will make it easier for you. We will give you a list of beers for tasting and their characteristics. You will have to assign the correct numbers to them. The purpose is to guess which beer you are drinking. But that's not all. After the practical part, the theoretical part awaits you. Here you can check your knowledge of beer. We have prepared a simple beer quiz with 10 questions. The tests will be evaluated on the spot, so at the end of the program it will be clear who really knows his/her beer and who still has more to learn. When, where and for whom? Tasting takes place in the Armory Brewery Cellar on a date to be agreed in advance by phone. We organize tastings for small groups of up to 10 people, but with a large number of people we are able to organize two tastings at the same time. The tasting evening is also suitable as an interesting company event. A gift voucher for this event can also be purchased.